In 2006 YETI Coolers was founded with a simple mission: build the cooler that you would use every day if it existed. One that was built for the serious outdoor enthusiast rather than for the mass discount retailers. One that could take the abuse we knew we’d put it through out in the field and on the water. One that simply wouldn’t break. 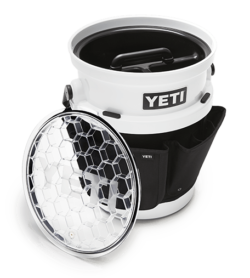 YETI decided early on that product innovation would come from necessity and firsthand experience – not from market research and data analysis. Since then they’ve continued to expand their product line to include not only hard coolers but also soft coolers, drinkware and more. YETI Tundra (at left) coolers are the stuff of legends. They’re built for whatever Mother Nature throws their way, which is surprisingly a long list of incredibly dangerous creatures and weather patterns. But no sweat — these outdoor coolers are more than up for the challenge. Even more impressive, is the fact that Yeti coolers are bear proof. 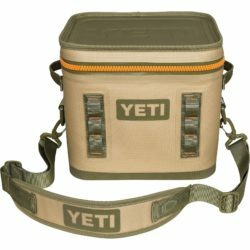 Their coolers feature a one-piece design made from highly durable roto-molded polyethylene. The lid is one piece, too, attached with molded-in, full-length hinges. 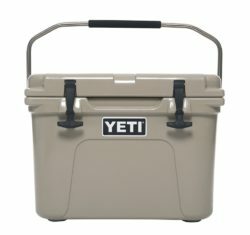 The YETI Roadie (at right) is a small but mighty outdoor cooler that’s ready to hit the road, whether you’re in for a day of tailgating or kicking back at the ranch. Available in a wide range of sizes and multiple colors. The Hopper was built for those adventures where you want to grab your gear and go. 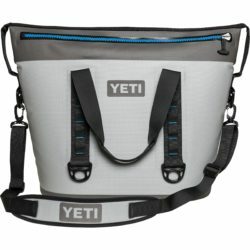 It’s the original 100% leakproof, ice-for-days portable cooler. And because we used materials found in things like HazMat suits and whitewater rafts, it’s also tough as nails. The Hopper is made in sizes to fit any adventure, whether that’s on a wild river in a kayak or a floatplane trip to remote salmon streams. Choose from the Hopper Flip (at left) with it’s easy open flip-top lid, or the Hopper Two (at right) with it’s side-zip opening. Available in multiple sizes and colors. The YETI Rambler family will keep your drinks as cold (or hot) as science allows. With 18/8 stainless steel construction, double-wall vacuum insulation, and No Sweat™ Design, they’re perfect for any activity you can throw at them. Find the Rambler Tumbler, Bottle, Colster, or Jug that’s right for your next adventure. 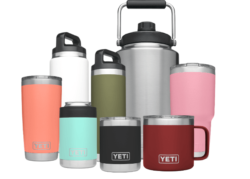 All styles of YETI drinkware come in various sizes and colors. 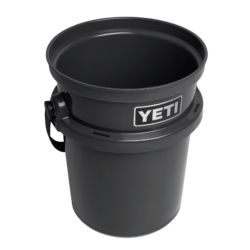 Meet the LoadOut™ Bucket. 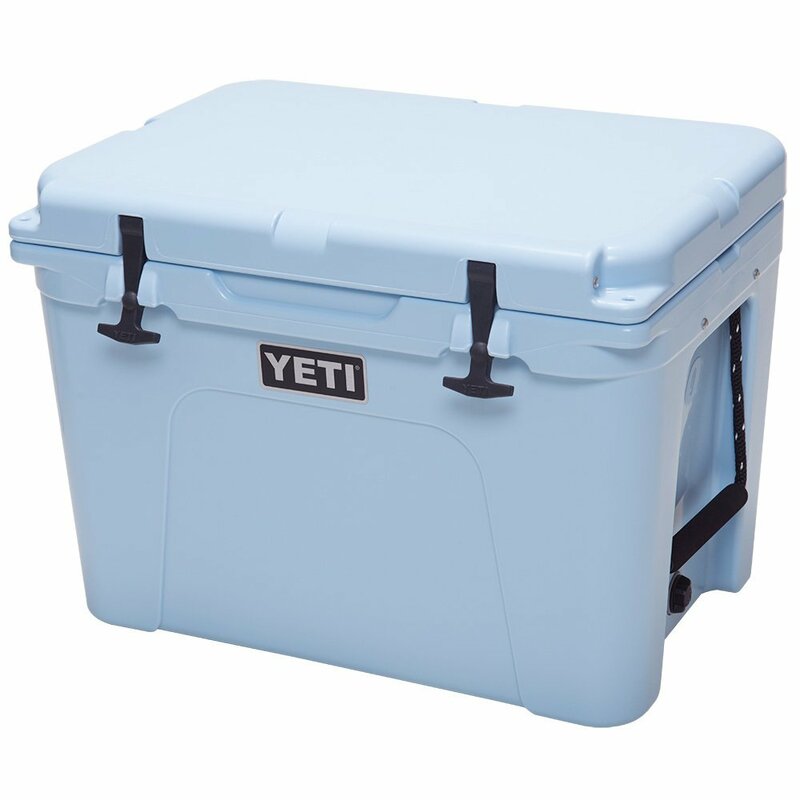 Available in four different colors, this 5-gallon, injection-molded essential is 100% YETI tough and designed to exceed any need from the boat to the backyard. It’s the only bucket that we trust to get the job done right each and every time we need it. The LoadOut Bucket holds its own. And pretty much anything else. Transform your LoadOut 5 gallon bucket into the ultimate multi-tool with multiple accessories. Keep everything you need organized and available with accessories that are as durable as the bucket they’re designed for. © 2019 Owenhouse Ace Hardware All rights reserved.